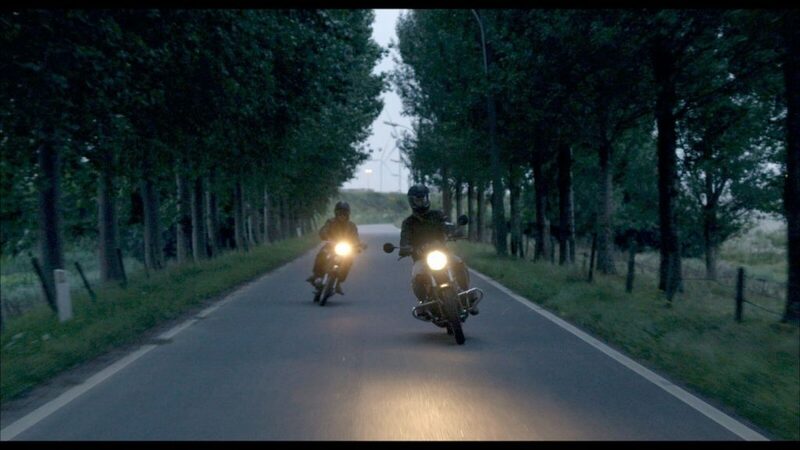 Doel is an eccentrically delightful documentary which follows a motley crew of inhabitants in a small Belgian town, earmarked for demolition in a bid to make way for the future by expanding a nearby port. In the film we experience what life is like for the 26 locals as they navigate the threats to their homes from big commerce and dutch teenage troublemakers alike, alongside the myriad of experiences which make up everyday life. Sian Ellis chats to Frederik Sølberg about making the film and showing it at Sheffield Doc Fest this summer. What drew you to making the story of Doel? I found this place and I knew there was a story in it that I wanted to tell, some kind of David and Goliath story. You have these stubborn inhabitants that continue to struggle against port authorities who want to tear down the whole town in order to expand the port. I’m not a journalist and I’m not Belgian so I was sure that somebody else would be able to do that kind of journalistic small community vs big industry story, so the idea that I developed became more and more a story about what it means to have a place to call home. We started focusing on what people are willing to go through in order to maintain or keep something that represents home both in a physical context and in the feeling of belonging somewhere, and heading in that direction we left the idea of involving some sort of political aspect of it. We kept that on a very subtle distant level and we just stuck into depicting these inhabitants in how they find meaning in a place where most people wouldn’t find any meaning. “DOEL” // A Documentary Film by Frederik Sølberg // Official Trailer from LOOKING FORWARD on Vimeo. You have some intimate footage in the film of the inhabitants in their homes acting as if no one else is around. How did you get the residents to open up to you to the extent that they shared these private moments with you? It took a while and it was a question of patience. When I got the idea for the film I got in touch with a local activity group in Doel and the head of that group ended up being one of the characters in the film. He introduced me to some of the other people in town and for the first two or three years when we didn’t have any funding and I was busy doing music and TV and other things I would go once or twice a year and just hang out. I’d maybe bring a little DSLR camera but I’d mainly just hang out and get to know these people. Through that I developed some kind of relationship which meant that when we were ready and had the funding to shoot the film I had built up a relationship with our characters where I knew what would be natural for them to do and what would normally happen. In order to maintain that intimacy I decided to work with a Belgian crew and a very small crew, our Director of Photography Jonathan Wannyn came with no assistant and no lights, we only used totally natural light. So we had a combination of me knowing them quite well and so they were confident with me and at the same time we had a film crew who spoke their language, who they could relate to, which meant that when setting up to get the scenes ready there was a pretty relaxed vibe. We also worked with a technique I like to call the ‘before and after’ technique, where you set up the camera and you pretend you are not shooting and when I say ‘cut’ they think it’s over and actually it’s not and so sometimes we combine scenes where they are aware of the camera and scenes where they are not aware and this gives this weird combination of times that are staged and times that are quite honest and we really worked with that weird balance. And what was the reaction from the people in the film when they realised you’d be secretly filming them? It was quite funny as they didn’t even mention it. We had two brothers for instance rehearsing in their living room and I asked them to play ‘Don’t Look Back in Anger by ‘Oasis’ but of course we couldn’t afford to use Oasis in the film and so my editor suggested we use the part when they are setting up where they aren’t aware of us filming which was in many ways much more honest. They are setting up to play but they forget about a battery and so it has more of a vulnerability. The inhabitants are in general very positive about the film. Is there anyone in particular in Doel that you connected with the most? There are two, one is the old woman, mainly because she’s extremely charming and she charms everyone, the whole film crew. I would say that she’s the one the audience would fall in love with if they would fall in love with anyone in the film. She’s funny and she’s obnoxious and she’s stubborn and she’s great. But on a personal level it’s Owen, the one who plays the bagpipes, who has an interesting story that we want to add to the film. He’s a young guy who is starting to become a nurse and as part of an internship he works for the port in their emergency room and so he’s caught in working for a port that actually wants to get rid of where he lives. He’s also a guy who’s committed to the heritage of the area and folk music, which they put a lot of effort into connecting to their past, and so he’s really like the conglomerate of the whole story in the sense that he’s both young but he’s trying to hold onto something which represents the past and he is also very charming. I like him very much . He has a boyish, childish humour and a charm and at the same time sincerity and I spent a lot of time with him. I stayed in his squatted house and so he’s the one I personally connected with the most. It changes all the time. Since I got to know Doel six years ago it has been going in different directions so I can’t look into the future. It could go both ways. I’m sure there are a lot of people who think they should just give up. Since we made the film there are now 24 inhabitants and they’re trying to fight against global development. The reason that the port has to expand is because we are consuming more and more and more goods are being shipped in from China and in that sense it is really difficult to imagine that the port will give up but in the other hand this struggle has been going on since the late 60s. So I can’t really tell because it seems to me the status quo; they have a court case and then they appeal. What I do think is that the young guys in the film represent a tendency in our time where you might feel disconnected from the people who are making the decisions in your life and that makes you cling onto something which you feel is true and I’m sure that they would continue to do that both in the simple way of embracing the town and folk dance but also on a political level. Some of these kids are quite conservative and right wing actually. They hate Brussels, they aren’t that keen on the EU, and they hate foreigners and immigrants. So it’s also like a degree of trying to protect something which is changing and that I imagine they want to hold on to for the good or the worst. So it almost seems that the turmoil is the normality and it’s been going on for longer than the lives of some of the characters?